Kitchen is the heart of a home. Whether small or large, the kitchen is the hub of the home. Kitchen is where the meals are created – it fuels the bodies, minds and souls of friends and families all over the world. Life may be created in the bedroom, but it's certainly lived in the kitchen. The kitchen is not only built for cooking but now becomes a place where family and friends get together for social meeting and dining. When designing a kitchen, choosing the right color schemes which matches your home electric appliances may be a chore. 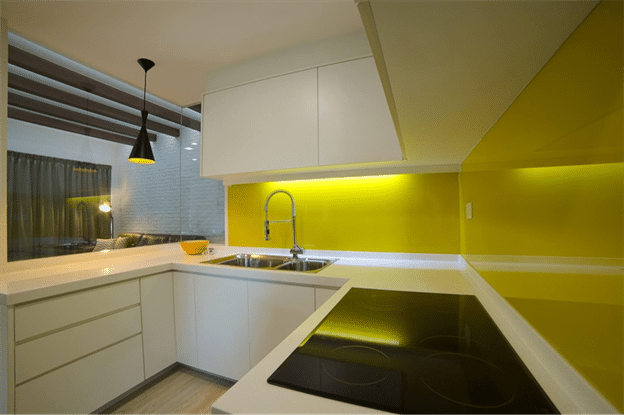 Here we will discuss some amazing color schemes and design for the kitchen which will make you desire to revamp your kitchen. Look no further, Renopedia can provide you with a list of interior designers to make your dream kitchen into reality. Gray color is the most popular color scheme these days. It has become the current choice for decorating a kitchen. 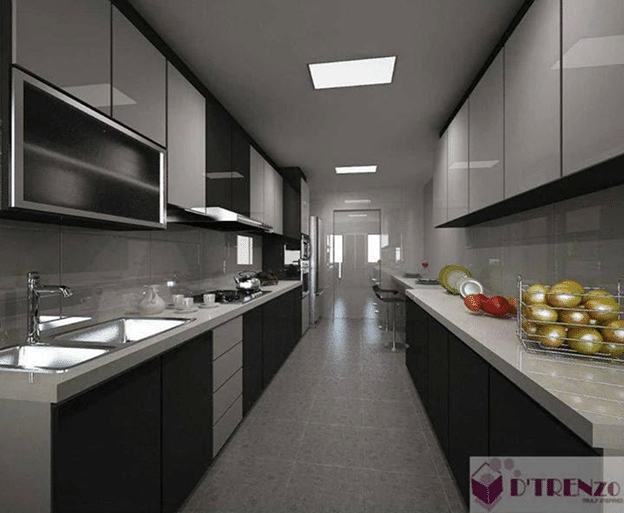 Gray color with shaker style kitchen gives the simple, clean and orderly appearance. 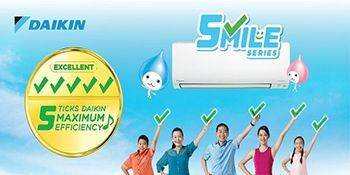 With gray color, any colored home electric appliance can easily be matched. 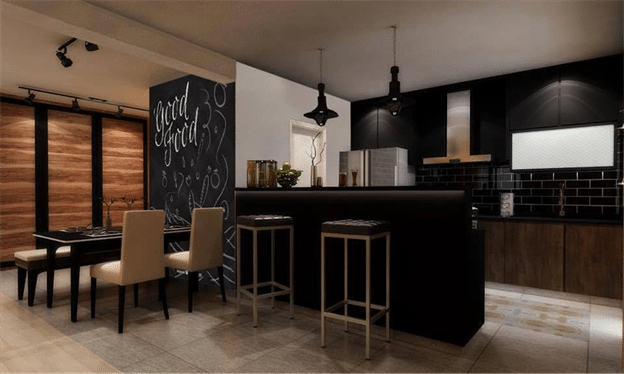 Black color is becoming prevalent in many kitchens and interior designers are adding black colors to the kitchen which gives it a contemporary style look. You can add other shades with black as well like white or gray to make the kitchen more beautiful. White is never boring. The most commonly used color for the kitchen is still not out of fashion. White color gives the kitchen a traditional style look. With white, your kitchen looks spacious and airy. You can add any other shade of your own choice. 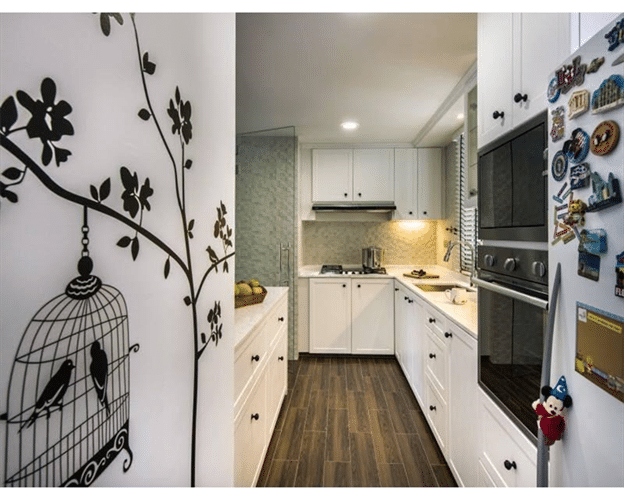 Bring this theme to your kitchen with our expert interior designers. Blue is currently trending. Navy blue, light blue or any shade of blue is a good combination with white, gray and other lighter shades. It will give your kitchen a clean and brighter look. This is one of the most desired colour so far by a growing number of property owners. Color blocking and two-tone color are popular and appealing these days, they give a unique look to the kitchen with its different color combinations. 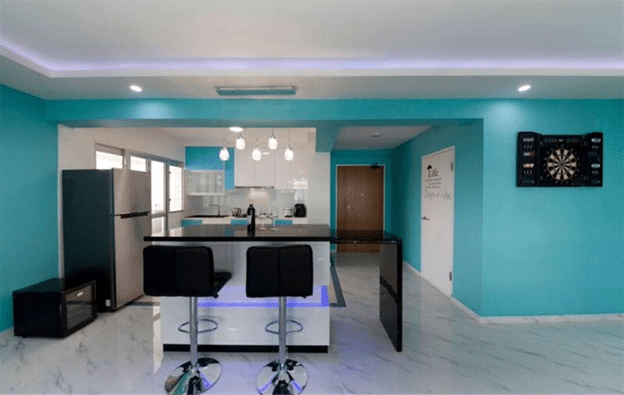 Make these themes part of your own home with our top most interior designers from all over Singapore who are 100% reliable and committed to their services to make your traditional old kitchen into a modern and brighter.